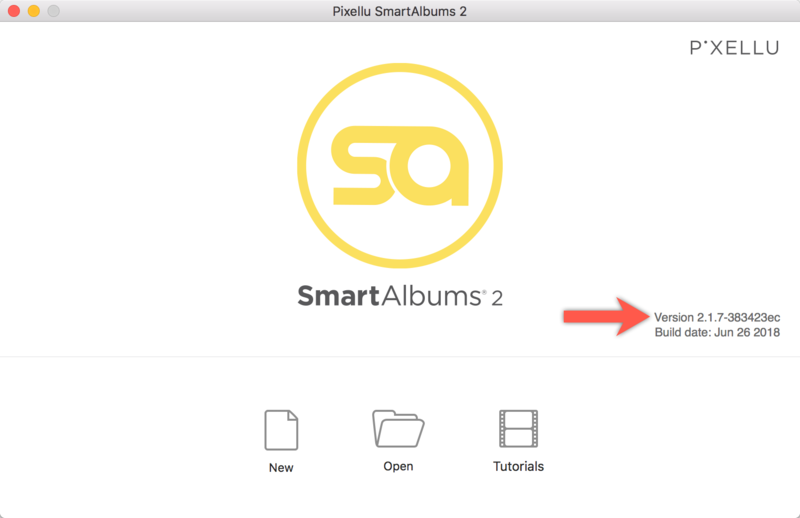 To check which version of Pixellu SmartAlbums 2 you are using, simply launch SmartAlbums and find the version number on the right-hand side of the welcome window. 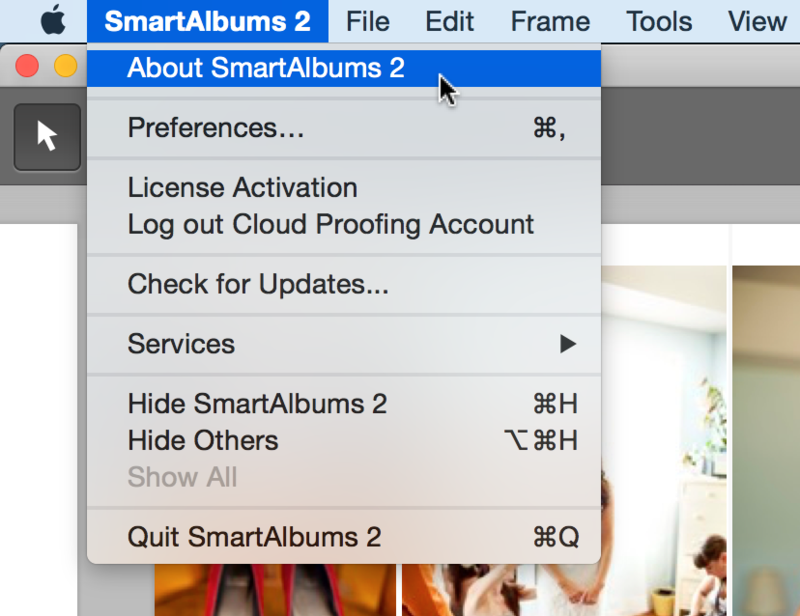 Another way to check your SmartAlbums version, would be to open the application and go to SmartAlbums 2 > About SmartAlbums 2. 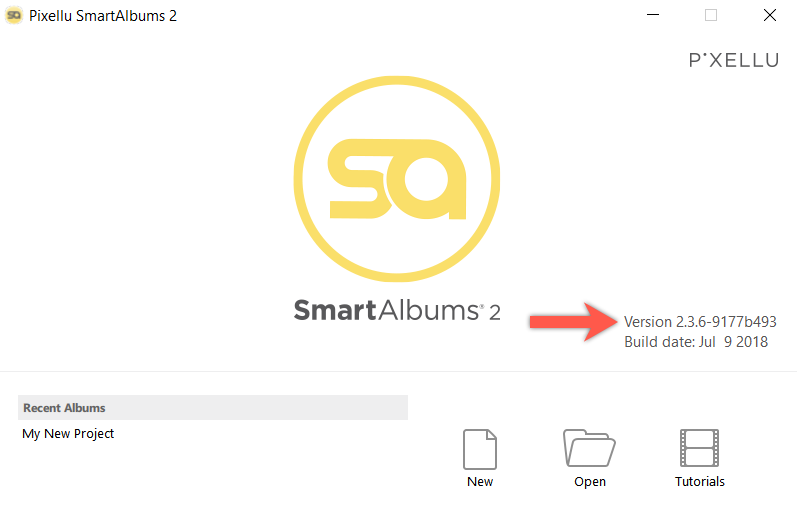 Simply launch SmartAlbums and find the version number on the right-hand side of the welcome window.